David Murphy | One Strike Away...Twice! These days, when Texas gets some offense it’s coming from all sources. Thus it’s hard to come up with a single game Star of the Week at times. The biggest RBI day came from Shin-Soo Choo, who knocked in the first three runs of one game against the Twins with a second inning bases loaded double. While impressive on the face, I’m giving this week’s award to a guy who knocked in only one run and qualifies as another of those unlikely stars we’ll see from the Rangers this year. Donnie Murphy started the season as part of the second base platoon with Josh Wilson. Then in one fell swoop, Murphy went on the DL, Wilson got demoted to Round Rock and they got replaced by Rougned Odor and Luis Sardinas. Murphy got activated from the DL when Prince Fielder was lost for the season and Sunday, he had to do something he’s never done before: play first base on the major league level. Murphy not only played the position flawlessly, he had three hits batting behind Adrian Beltre at 5th in the order (!) and knocked in the key insurance run in the 8th that gave Yu Darvish a little more of a cushion to work with. The three hits brought his season average up to .238. Overall, the Rangers bats have been a bit warmer of late, with the exception being the power numbers that remain better than the Kansas City Royals but hardly anyone else. Sunday’s Leonys Martin homer over the right field wall in Washington was the Rangers first in seven games. In other words, it was the only round tripper the Rangers hit ALL WEEK! Still, there were no fewer than six Texas players who batted .300 or better over the week. 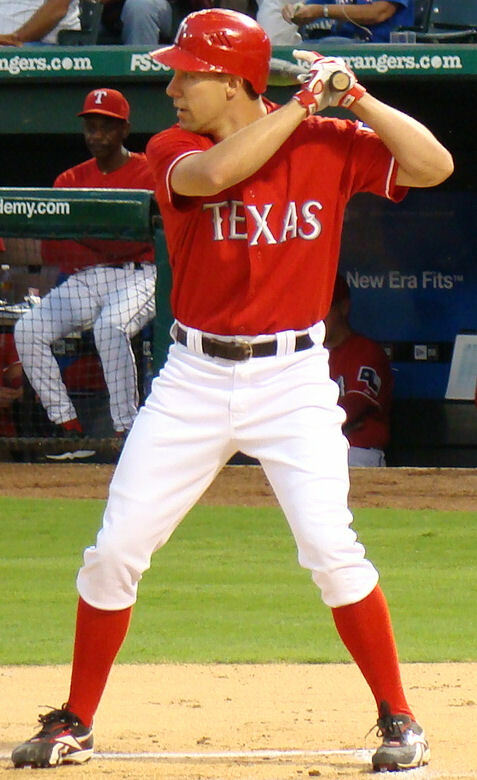 The overall Star of the Week goes to catcher Chris Giminez, a player who only joined the Rangers organization at the end of Spring Training, so close to the start of the regular season that Texas had to place him on the Opening Day roster without ever appearing in a Rangers uniform during the exhibition season. 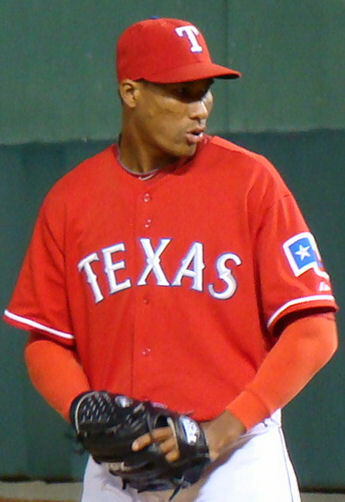 Giminez got sent to AAA Round Rock in short order and didn’t appear in a game for the Rangers until his recall two weeks ago to replace a completely ineffectual J.P. Arencibia. Over the past week, Giminez has garnered seven hits in four games, which is one less hit than Arencibia managed in 20 games with Texas. Overall, the stat line for Giminez was .438/.438/.625 with three doubles and 3 RBI. Giminez has also become the personal catcher when Yu Darvish is on the mound and it’s pretty clear Yu doesn’t have any problems with that arrangement. The proof is coming next. If there’s a Rangers fan who doesn’t love Yu Darvish, then they are a fan of the New York Rangers hockey team. Meanwhile, Texas Rangers fan love Yu just fine, thank you very much. Sure, there’s the occasional debate of whether he’s earned “Ace” status yet and we sure don’t like the number of times he has a stiff neck and gets scratched from a start. When he takes the mound, though, any start begins with the possibility of magic happening. He’s flirted with no-hitters on several occasions and he leads the majors in double-digit strikeout games over the past three seasons. Sunday, Yu’s assignment was to slow down a Nationals offense that had battered Rangers pitching for 19 runs in the first two games of the series. Darvish was more than up to the task, going eight strong innings on only 102 pitches, giving up only five hits and two walks while striking out a dozen Nationals. Had the game not been played in Washington, where the pitchers come to bat, Darvish likely would have gone out for the 9th and attempted to finish off his first complete game and first career shutout. But, since Texas only had two runs on the scoreboard in the top of the ninth, Ron Washington decided to send up a pinch hitter for Darvish to try to score an insurance run. Joakim Soria secured the save and Darvish had his fifth win of the season. Until Darvish spun his gem on Sunday, the weekend got off to a miserable start when the Nationals won Friday’s game 9-2 and added a 10-2 thumping on Saturday. Still, there’s nothing for Rangers fans to complain about. They finished the week 4-3 and they finished their longest road trip of the season going a combined 7-4 against the Tigers, the Twins and the Nationals. Yeah they’re still only a game above .500 and as close to last place as they are to first in the AL West (5 1/2 games), but they’re only a game out of the Wild Card at this point so there’s plenty to hope for. This is a team with a lot of deficiencies: outside of Darvish, the four other starters are as likely to give you less than 5 innings as they are to even get to 6, the defense is still not anything close to what Rangers fans are used to seeing and the always aggressive running game has resulted in way too many caught stealings. A great case in point is right fielder Alex Rios. By all accounts, Rios is having a good season, hitting .320 and leading the Rangers in RBI with 29. Still, while Rios has 11 steals to his credit, he’s been caught an ugly seven times already. He may own the Rangers RBI lead but he’s also MLB’s leader for grounding into double plays with 15 at just the 1/3 mark of the season. And though he’s a far better right fielder defensively than his predecessor Nelson Cruz, he has three errors on the season and should have had a fourth on the missed pop-up that got changed to a David Ortiz hit that broke up a Yu Darvish no-hitter. After 11 games on the road, the Rangers get a day off Monday, then spend the week at home against the Baltimore orioles and the Cleveland Indians. That has more than passing interest to Rangers fans, since the Orioles boast ex-Rangers Cruz, Chris Davis, Darren O’Day and Tommy Hunter (not to mention ex-manager Buck Showalter), followed by an Indians team whose uniform is worn by ex-Ranger David Murphy. Cruz would have been more than happy to stay a Ranger but Jon Daniels wasn’t willing to pony up the money to make it happen. Too bad because Cruz is having a career season for the Birds so far this year. Even Murphy has more RBI than Rangers team leader Alex Rios. Record-wise, all three teams are bunched together. The Rangers are 29-28, the Orioles 28-27 and the Indians 27-30. The Orioles get the benefit of not having to face Darvish. With no help coming to the roster via trade in the foreseeable future, a 3-3 record on the week is about what we might expect from a team that has played at about a .500 level all season. Here’s the good news. The Texas Rangers have addressed the offensive malaise that was 2013 by going out and getting 1) one of the best FA bats available in Shin Soo Choo; and 2) engineering a trade that brought Prince Fielder over from the Detroit Tigers. This pretty much guarantees the Rangers will improve greatly on the number of runs they scored in 2013, when they were smack dab in the middle of the AL pack. Here’s the bad news. As formidable as the pitching staff for the Rangers might be, they will almost certainly be to a man a little worse off in 2014. This is the trade-off on improving the offense. The defense is going to suffer. The infield is who will have it the worst. Prince Fielder takes over at first base from Mitch Moreland. Moreland wasn’t any great shakes defensively, but he did have a better 2013 than Fielder. Moreland’s UZR rating was 3.6, Fielder’s a -5.2. Using Baseball-Reference’s Range Factor, Moreland was an 8.73 to Fielder’s 8.49. Both were below league average, but Fielder more so. Moving on to second base, the Rangers gave up Ian Kinsler, who was outstanding in defensive metrics with a 6.5 UZR, a +51 in Defensive Runs Saved and a Ranger Factor of 4.78 (League Average 4.64). He’s replaced by Jurickson Profar, whose rookie season consisted of 32 games at second, with a UZR of -7.1, a Defensive Runs Saved of -4 and a Ranger Factor of 4.32. Profar probably won’t be THAT bad in 2014 and should benefit from playing the position full-time but he still won’t match Kinsler’s performance, at least not yet. Add in the fact Adrian Beltre is a year older and a millisecond slower and one can only reach the conclusion the Rangers’ infield defense will be considerably more porous in 2014 than they were this past season. In the outfield, things are a lot more fluid and require more guesswork. Baseball Reference and Fangraphs look diametrically opposed on outfield play. Take Alex Rios vs. Nelson Cruz. 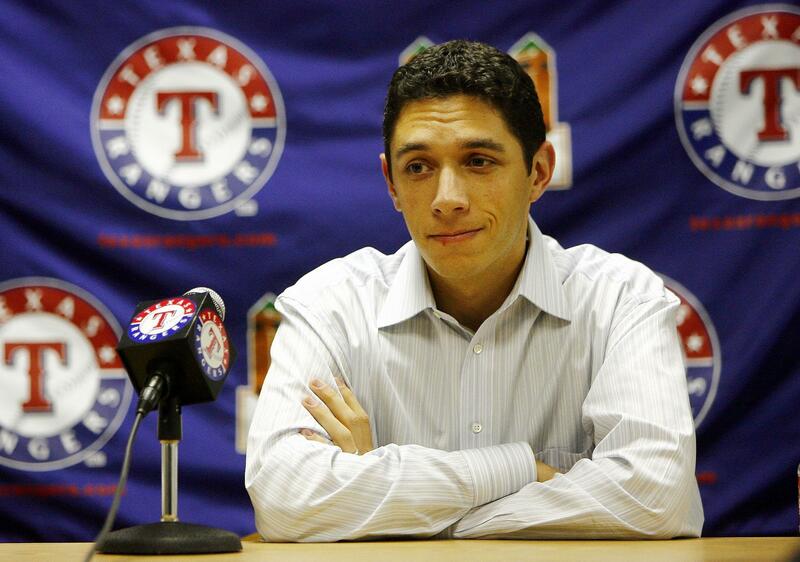 The Rangers had both a year ago, with Rios replacing Cruz when he got suspended. By Fangraphs take, Rios was the better outfielder with a 3.7 UZR vs. Cruz’ -4.3. Yet in the Defensive Runs Saved category, Cruz was a -3 and Rios a -5. In other words, DRS shows Rios as worse (though he did play more games overall on the year). Baseball Reference has Rios as an above average Range Factor of 2.21 vs. Cruz’ 1.95 (league average is 2.07). Rios appears to be a better choice overall in right. Left field is where the difference between the two web sites is most noticeable. Shin Soo Choo played mostly center field for the Reds last year. By Baseball-Reference, Choo was a pretty decent outfielder last year. A Range Factor of 2.39 compared to an NL average of 2.13. By comparison, David Murphy was below average at 1.87 compared to the AL league average of 2.24. Go over to Fangraphs and the picture completely reverses. There Murphy checks in with a UZR of 11.0 and 7 Defensive Runs Saved, while Choo is given a -15.3 UZR with -17 Defensive Runs Saved. Two diametrically opposed stats tell me maybe it will be a wash at best defensively. Still, the takeaway here is Texas is bulking up on offense at the expense of defense, something sure to drive Ron Washington, a defensive-minded manager, nuts. Even if you don’t see the number of errors rise dramatically, the odds are pretty good you will see ERA’s rise on the Rangers pitching staff across the board. The gamble Jon Daniels is making is the number of runs the Rangers score will be more than the increase in runs the defense gives up and that it will be the difference between first and second place. We shall see. Why Does Anyone Have To Be Fired? It’s the end of the season, the Rangers did themselves no favors by going cold to begin the month of September and now find themselves not assured of a playoff spot with a mere ten games to go in the regular season. 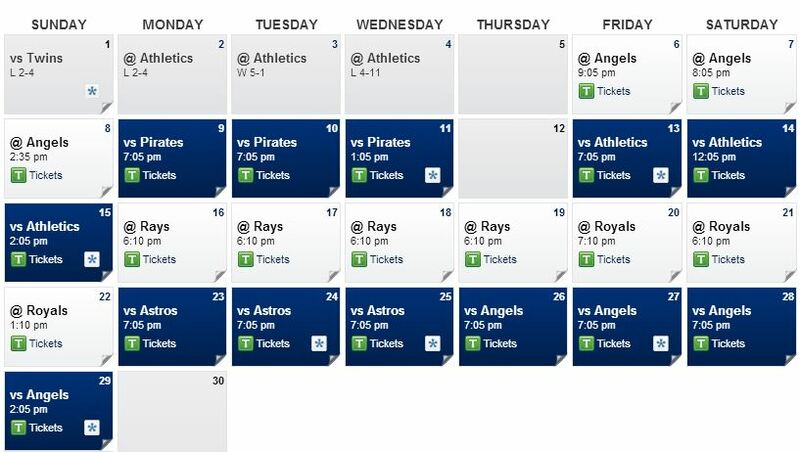 The AL West title is clearly out of the question with Oakland up 6 1/2 with 10 games to go. 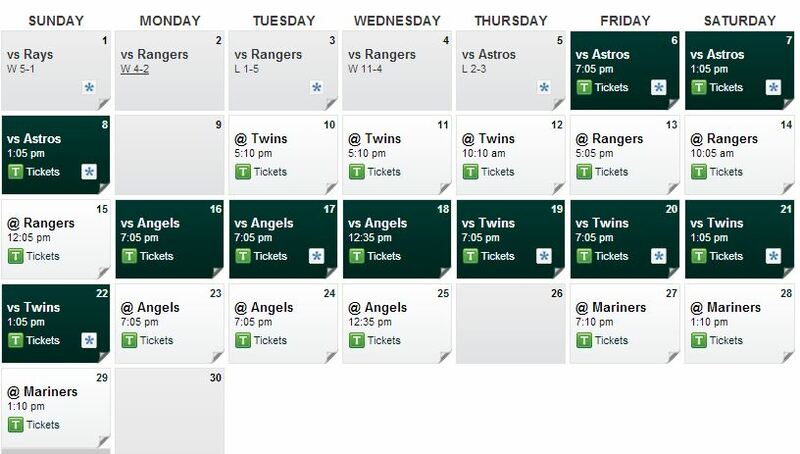 If the Rangers go 10-0, Oakland would still win the division by going a mere 4-5. Mathematically it’s possible, realistically fuhgeddaboutit. 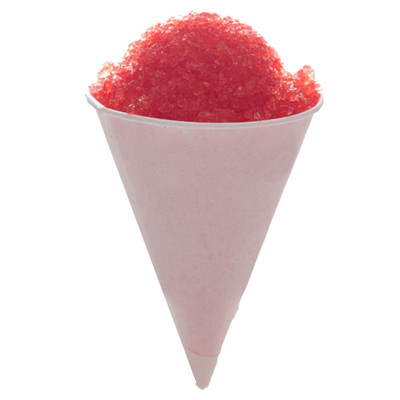 This, of course, means the silly season has started in the DFW area. Columnists are busy opining as to what kind of blood bath will occur within the Rangers organization after the close of the season. After all, Texas “collapsed” for the second consecutive year. SOMEONE HAS TO PAY WITH THEIR JOB!!! Already, camps have begun to pop up in the media. 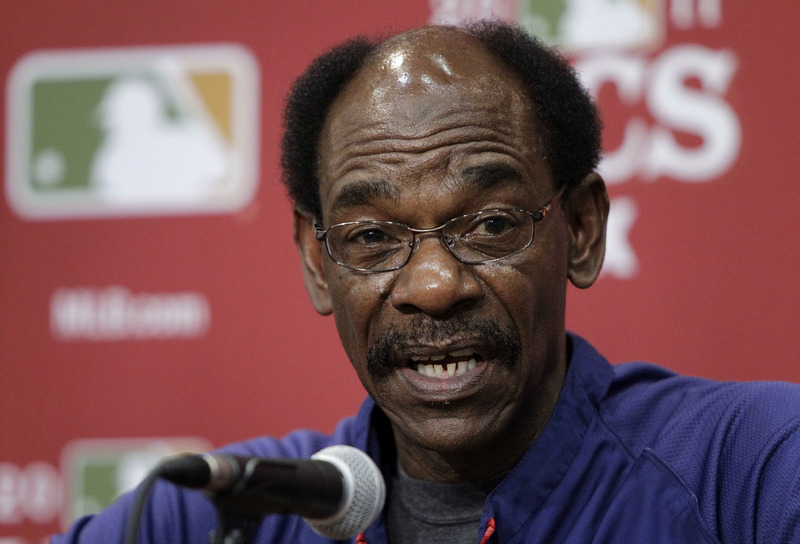 Some have begun to speculate on Ron Washington‘s future with the team. On the other side of the coin, the Fort Worth Star Telegram’s Randy Galloway has firmly established himself in the “Fire Jon Daniels” camp, saying the Rangers’ season wasn’t Wash’s fault, it was JD’s for not giving him a good enough team to work with. My question is, why should anyone get fired? Yeah, the season has been a disappointment in many regards. The showing of the team in September has not been good and there’s a very real chance Texas won’t be in the playoffs come the end of next week. Based on schedule, the Rangers and Indians have the most favorable odds but getting shut out of the post season is a real possibility. Still, let’s look at this logically. For those in the “Fire Wash” faction, think about how 2013 squad composition compared to the 2012 team. Gone for the entire year from that team were Josh Hamilton, Mike Napoli, Michael Young. Those three players alone combined for 75 home runs and 251 RBI worth of offense. In their place, essentially, were A.J. Pierzynski, Lance Berkman and Leonys Martin who, as of 9/19, have combined for 31 game runs and 139 RBI offensively. David Murphy slid from 15 HR and 61 RBI in 2012 to 13 HR and 44 RBI in 2013. And Nelson Cruz, the biggest power threat on the team, got suspended for the last 50 games of the regular season after posting 27 home runs and 76 RBI in the first 112 games. Meanwhile, on the pitching side, Texas lost Koji Uehara and Mike Adams from the bullpen. Colby Lewis never pitched in 2013 after posting six wins in 2012. Matt Harrison had only two starts in 2013 before being shelved for the year following an 18 win 2012 campaign. The pitching staff actually improved in 2013 despite these departures. Martin Perez established himself as a legitimate starter and the bullpen hasn’t missed a beat with Jason Frasor, Neal Cotts and Tanner Scheppers replacing Uehara and Adams. Joakim Soria and Neftali Feliz boosted the pen when they came back in August & September from lengthy injury rehabilitation. Considering how vastly different this team is from the 2012 team, not only should Wash not be fired, he should contend for AL Manager of the Year for where he has this club in the standings. He won’t win. John Farrell of the Red Sox will probably get the honor, but Wash has done an outstanding job considering the injuries he’s had to contend with as well as the Cruz suspension. Texas is tied for the Wild Card lead despite, at one point, fielding a rotation that consisted of Derek Holland, Martin Perez, Nick Tepesch, Justin Grimm and Ross Wolf. Then what of General Manager Jon Daniels? Maybe Galloway is right, Jon Daniels should pay with his job for not giving Wash better pieces to work with. Nonsense. All Daniels has done is put together a team that contended for the division title up until the last three weeks of the season and did it without breaking the Rangers budget or crippling the team for the future. Look at the off-season of 2012. The Rangers were in hot pursuit of two players in particular: Zach Greinke and Justin Upton. They had hopes of re-signing Josh Hamilton. They weren’t saying no to a Mike Napoli return either. Adams and Uehara they were resigned to losing, since JD doesn’t want to overpay for bullpen pieces. Texas was supposedly ready to part with Mike Olt and Elvis Andrus, perhaps even Martin Perez, to get Upton. Arizona didn’t bite. Upton in 2013 has put up 2.9 WAR for the Braves. Andrus and Perez have combined for a 4.1 WAR, while Olt ended up being a piece of the trade that brought Matt Garza to Texas. Greinke signed with the Dodgers. Texas put up an attractive offer, but LA topped it and Greinke admitted he went with the best financial offer. Guess what? If JD had sweetened the offer, the Dodgers would have topped it again. Since Texas lost out on both Upton and Greinke, Daniels had to get a little more creative. He tried to get James Shields from the Royals. The Rays’ ask was too high. Finally, Daniels signed Lance Berkman as the team’s DH. It was a calculated risk, but if Berkman and his creaky knees came anywhere close to what he did for the St. Louis Cardinals, it would be a steal. He then signed Pierzynski as the everyday catcher. He had already signed the injured Joakim Soria to a two-year deal, even though he wouldn’t be ready until mid-season at the earliest. Finally, Daniels went more low-key and signed Jason Frasor to a 1-year deal to help the bullpen and Jeff Baker as the club’s back-up to Mitch Moreland at first base, David Murphy in left and Adrian Beltre at third. Then, with Texas contending at mid-season, JD went and got both the best hitter and the best pitcher available at the trade deadline in Matt Garza and Alex Rios. He possibly overpaid for Garza, who not only has been somewhat of a disappointment for Texas, he also will be a free agent at year’s end. On the other hand, Rios cost Texas just Leury Garcia and he’s still is under contract for 2014. All these moves and Texas might miss the playoffs in 2013. On the other hand, take a look at what Daniels has accomplished. On the pitching side, the starting rotation for 2014 is already 4/5 complete with Yu Darvish, Derek Holland, Martin Perez and a returning Matt Harrison. There’s always a possibility for Colby Lewis to return as well, which would complete the rotation. Meanwhile, Nick Tepesch remains as a viable rotation candidate for next year as well, along with Josh Lindblom, obtained in the Michael Young trade. In the bullpen, if Joe Nathan returns and the club re-signs Frasor, the entire bullpen could return intact in 2014, which is practically unheard of these days. There is work to be done with the offense. David Murphy will undoubtedly be allowed to leave. Nelson Cruz could depart as well. Yet, the Texas offense is not that far away from being potent yet again. Jurickson Profar and Leonys Martin had their first full years in the bigs in 2013 and are sure to put up better numbers in 2014. Texas will probably need to sign another catcher to replace Pierzynski and could take a stab at Brian McCann. Kinsler could be asked to move to first base or left field and Texas will look to obtain a replacement at whichever position Kinsler doesn’t move to. Still, if Daniels were to re-sign Cruz as the everyday DH, move Kinsler to first, sign McCann and then find a new left fielder with some pop, this will be a contending club again in 2014. That will have been accomplished by a GM who kept his top position prospect (Profar) and pitching prospect (Perez) and still has a top 5 minor league system to work out more trades down the road. Fire Jon Daniels? I think not. If anyone is to leave at the end of the season, it would be on the coaching staff. Texas made a lot of baserunning blunders in 2013, but they also have three of the top basestealers in the AL, so Gary Pettis‘ job should be safe. Dave Magadan has a great reputation as a hitting coach so I don’t see him as a one year and done coach. Jackie Moore as bench coach? Considering Wash has a history of curious moves, that could be a possibility and even that could be framed as a retirement and not a firing. In the end, who will get fired? I ask again, why should ANYONE be fired? This is still a very good team with very good leadership. If Texas doesn’t qualify for the post-season, it doesn’t mean the wheels are off the wagon. They’re just momentarily slowing down to fix the wheels to get better traction a year from now. A 1/2 game lead. 23 games to go. 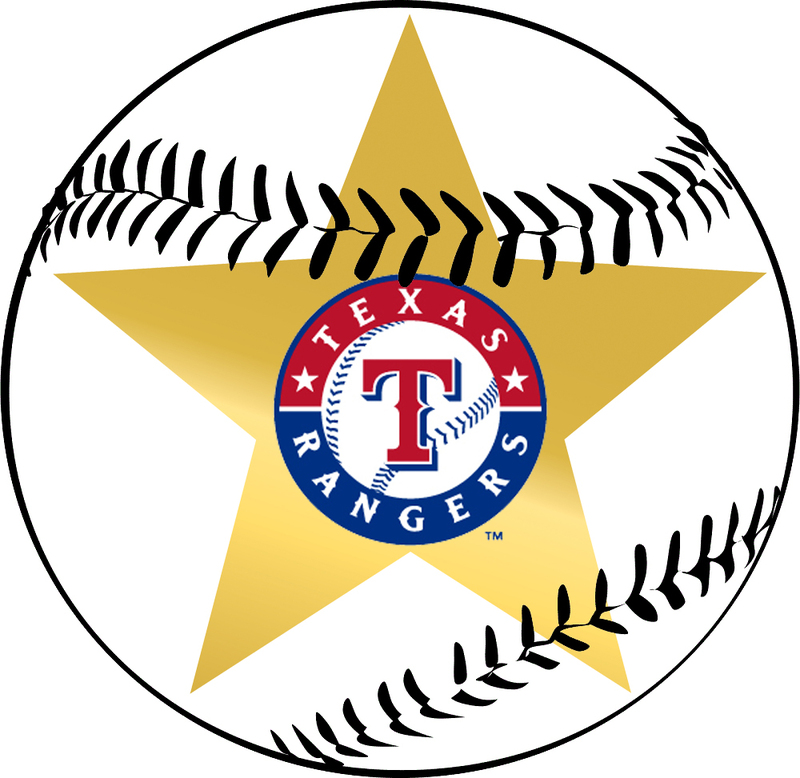 23 games is what separates the Texas Rangers from the AL West Division crown they ceded to the Oakland A’s a year ago. 23 games to prove the team is good enough to win a division. There is no doubt, if the Rangers win the AL West they have earned it. Texas has 23 games to go, Oakland 22. 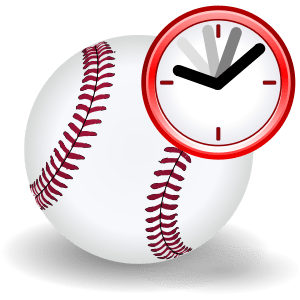 Of the 23 games remaining, ten of them are against teams with sub-.500 records (3 with Houston, 7 with the LA Angels). Of the A’s remaining 22 games, 19 of them are against teams with sub-.500 records. Only 3 of Oakland’s remaining 22 games are against a team over .500 and those three games are at Texas September 13th through the 15th. Every other game is against Houston, Minnesota, Los Angeles and Seattle. The Rangers still have 13 games remaining against teams on the plus side of .500: 3 with Oakland, 3 with Pittsburgh, 4 with Tampa Bay and 3 with Kansas City. Three of those four teams will likely be in the playoffs. If the Rangers end the month of September in first place, they will have indeed earned the division championship. The A’s should be favored at this point. Despite being a half game out at this writing, the division is theirs for the taking based on strength of schedule. For the Oakland A’s, there’s no excuse for not winning the AL West. For the Texas Rangers, there’s every reason to prove right now that they ARE the best. It’s crunch time for the Rangers. Every game is a must win. Keep winning and you don’t have to worry about what the A’s are doing. For Yu Darvish, Derek Holland, Matt Garza, Martin Perez and the incredible bullpen, no meltdowns allowed. For Adrian Beltre, Ian Kinsler, Elvis Andrus and the youngsters Leonys Martin and Jurickson Profar and every other member of the offense, no more slumps. You need to score runs, wreak havoc on the basepaths and flash that leather in the field. David Murphy and Mitch Moreland, forget the past five sub par months. Focus on making the next 23 games your best of the season. Three weeks and three days left with only one more day off. Time to show us what you’ve got. Only Robbie Ross and Matt Garza had ERA’s over 4.50 for the week, but both get a pass as Garza won his game, striking out 8 while walking only 1 and Ross only pitched 2/3 of an inning for the week. No Frios por la semana (for the week). Talk about making lemonade out of lemons. 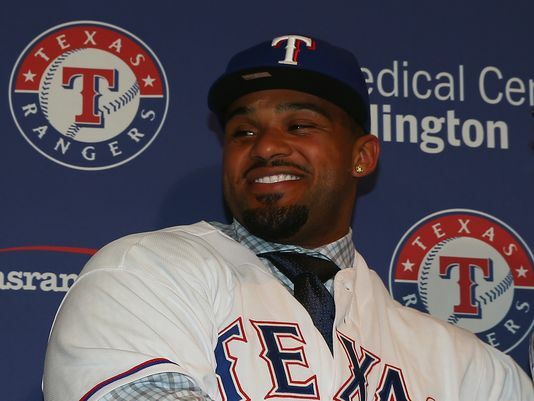 On Monday, the axe fell on Nelson Cruz, the Rangers’ top run producer for 2013. Instead of bowing their heads and feeling sorry for themselves, the Rangers went right ahead like they didn’t miss him at all. How does a season long 7-game winning streak hit you? Without Cruz, but admittedly with the benefit of playing the AL West’s bottom two teams, the Rangers swept the week at 6-0 and went from 2 1/2 games behind the Oakland A’s to a game on top in the AL West. 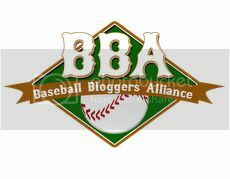 Regular readers of this blog know Texas just shifted its focus against the Angels to a speed game and ran at will on the LA pitching and catching staff. The Astros were a little different animal. Houston just isn’t a very good team and even when their starting pitchers did their job, the bullpen ensured the Rangers would come out on top. 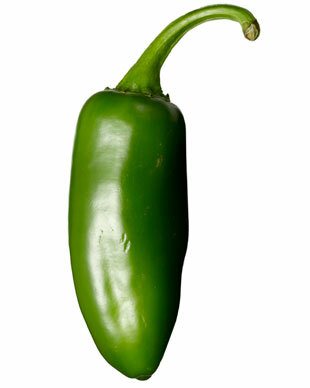 I put two players in the Jalapeno Caliente column this week even with limited at bats. Alex Rios came over in a trade from the Chicago White Sox and immediately paid dividends. In his first game Saturday, Rios walked his first time up, then singled and hustled into second on a throw to third in his second plate appearance. In the 8th, with Texas trailing 4-3, Rios tied the game with a triple, then came home on a grounder, knocking the ball out of Jason Castro‘s glove at the plate to score what proved to be the winning run. For Sunday’s encore, Rios scored the Rangers first run following a single in the 5th, added an RBI double in the 6th to make it 2-0 and scored in the Rangers’ 4-run 9th. For someone who came to Texas with a reputation for not hustling, Rios sure didn’t look like the guy the scouts were talking about. Maybe it’s playing on a club with playoff aspirations for a change. Rios tweeted after Sunday’s game he’s never encountered a team with as much energy as the Rangers. It appears to be catching. The other honorable mention went to Joey Butler. At the advanced baseball age of 27, Butler finally made it to the big leagues for the first time, being recalled following Cruz’ suspension. He was to be the right-handed hitting complement to lefties David Murphy and Leonys Martin in right field. That platoon lasted all of five days when Texas acquired Rios. 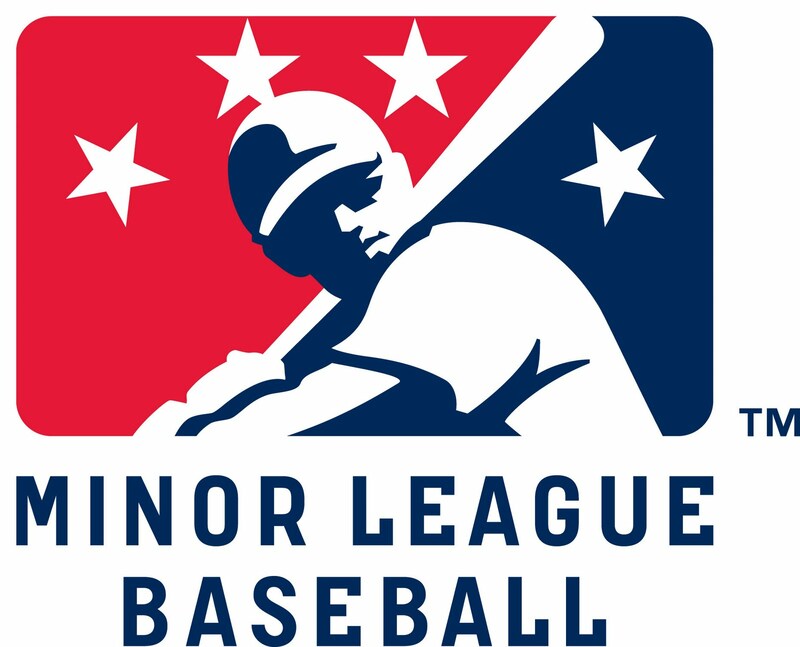 Butler only got to start one game for Texas before being sent down to AAA Round Rock, but he made the most of it, mashing two doubles and scoring twice off Houston’s Eric Bedard. I hope Butler gets to come back up as a September call-up. Everyone loves to cheer for those types of underdogs. Just announced: The Texas Rangers have acquired Alex Rios from the Chicago White Sox in exchange for a player to be named later or cash. Speculation is he PTBNL is Leury Garcia. who started the season as the Rangers’ utility infielder. Since Garcia is on the 40-man roster, he’d have to clear waivers first to go to the White Sox now. By waiting until season’s end, the waiver requirement is no longer necessary. Hey, Rios isn’t the best bat around, but he’s one of the best ones available now. 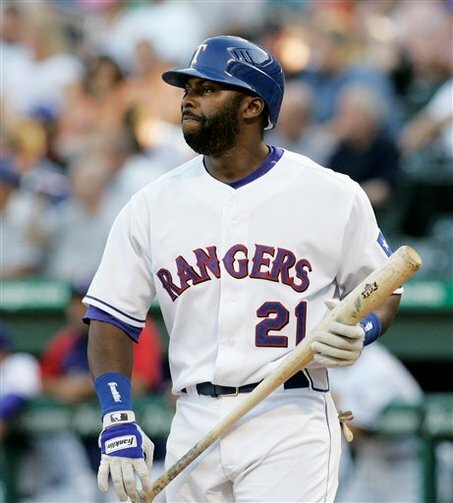 He’s a righthanded bat, which the Rangers sorely needed. He’s signed through next season so if David Murphy, Nelson Cruz or both Murphy and Cruz depart at season’s end due to their free agency, there’s already a reasonably productive piece already in place. Rios has a salary a bit on the high side, but for the remainder of this year it’s offset both by some cash the White Sox threw into the deal and the salary Cruz isn’t being paid due to his suspension. Best of all, if the Rangers make the post-season, Rios and Cruz will both be available for post-season play. On the downside was this tweet from the Fort Worth Star Telegram’s Gil LeBreton, who noted “scouts say Rios moves at one speed…and it’s not all-out.” Gerry Fraley of the Dallas Morning News was quick to retweet LeBreton’s tweet. I responded to both, “If anyone can get to him, though, it’ll be Wash.” Both scribes quickly agreed with my assessment. Wash doesn’t work with everyone. He certainly could do nothing with Cristian Guzman in 2010. Guzman didn’t even make the post-season roster. Wash, though, has a way of getting the best out of his players. There was never a bigger example of that than 2008, two years before the Rangers’ World Series run. That year, Jon Daniels surprised just about everyone in the baseball world by signing world-class malcontent Milton Bradley. Everyone thought JD was crazy. Wash took Bradley under his wing. Throughout the 2008 season, he only had one potential incident, which Wash helped defuse before anything bad could happen. On the field, Bradley had the best season of his career, hitting .321 with 22 home runs, 77 RBI and a .999 OPS. Bradley was also named to his first and only All-Star team. As many know, Bradley signed a big free agent deal after that with the Cubs and was never the same player again. His anger ended up getting the best of him and he’s now facing prison time for a domestic violence charge. The point is Wash got through to Bradley. On the field it’s easy to see when Wash gets through to Elvis Andrus and Derek Holland. Both respond to the “in your face” approach to motivation. The lives of every Rangers player is full of what Ron Washington terms “teaching moments.” For every player, those moments take different forms. While Wash is not the best baseball strategist on the block, what he does exceptionally well is handle the men in his charge, sizing them up, figuring out the best way to get through to them, then watching it translate on the baseball field. Not everyone will respond. Those are the ones that usually find themselves ex-Rangers. That well could happen next year to Alex Rios. On the other hand, if Wash figures out what makes him tick, this could end up being a very good acquisition for Texas for the next season and a third.